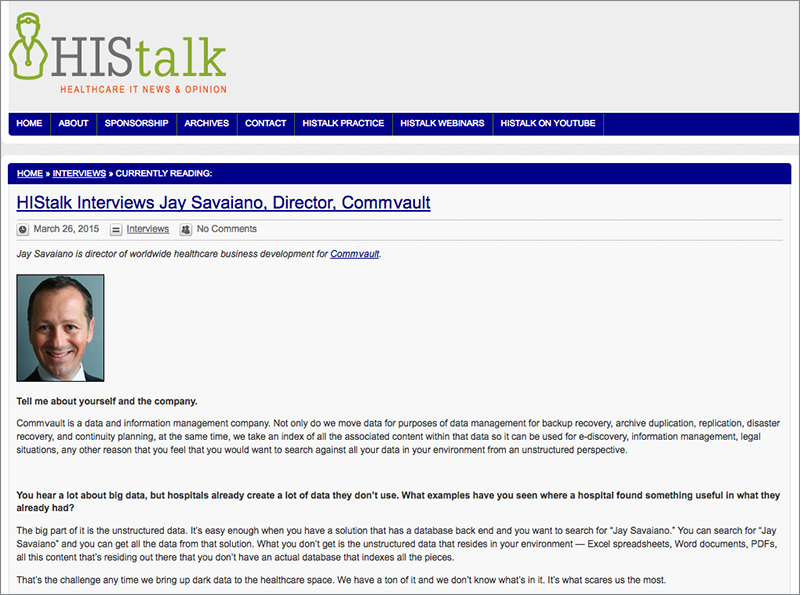 Challenge: Data protection and information management solutions company with a long history of success in the financial services industry saw an opportunity to sell its products and services to the healthcare IT market; however, Commvault lacked the internal domain knowledge and capabilities to develop strategies to successfully sell into this space. Solution: Commvault engaged TWP to provide the support needed to successfully break into this market. TWP developed marketing and communications strategies that included value propositions, messaging, content, strategies, and tactics for EHR vendors, HIEs, select platforms, and enterprise leaders; also public relations, and creative consultation to client’s legacy agency to adapt the brand for the healthcare IT market. Deliverables also included case studies, training materials, and e-newsletters to create awareness leading up to HIMSS, the healthcare IT markets biggest tradeshow. 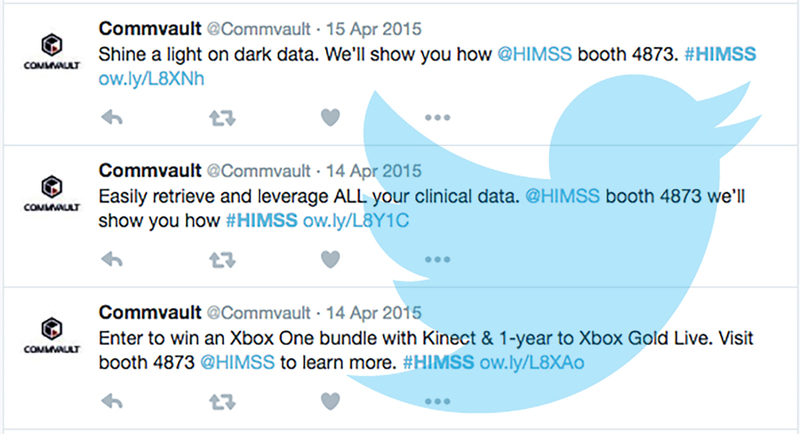 TWP developed conference strategy, including messaging training, and conducted outreach to drive traffic to Commvault’s exhibit, schedule key meetings, and motivate targeted prospects to attend a private event at HIMSS. 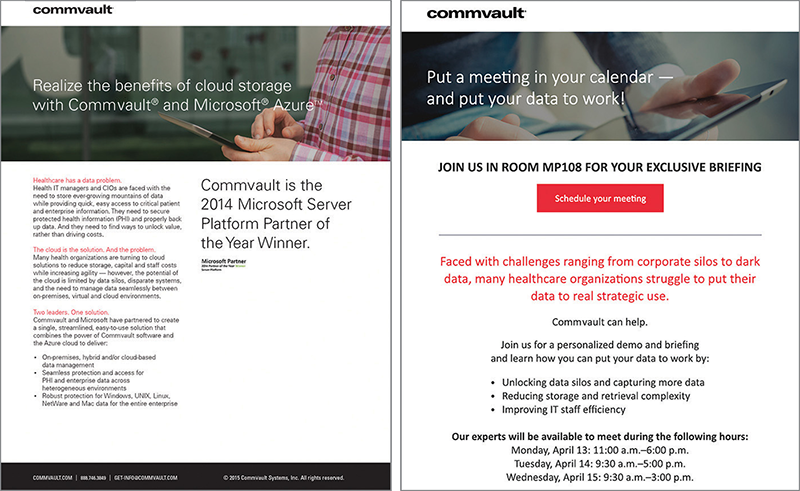 Result: Commvault’s team was extremely busy at HIMSS with meetings booked on the hour at the onsite conference room and a steady flow of traffic at the exhibit, with the conference team capturing in excess of 200 names with a high percentage of post-conference leads and meetings set up following the conference.